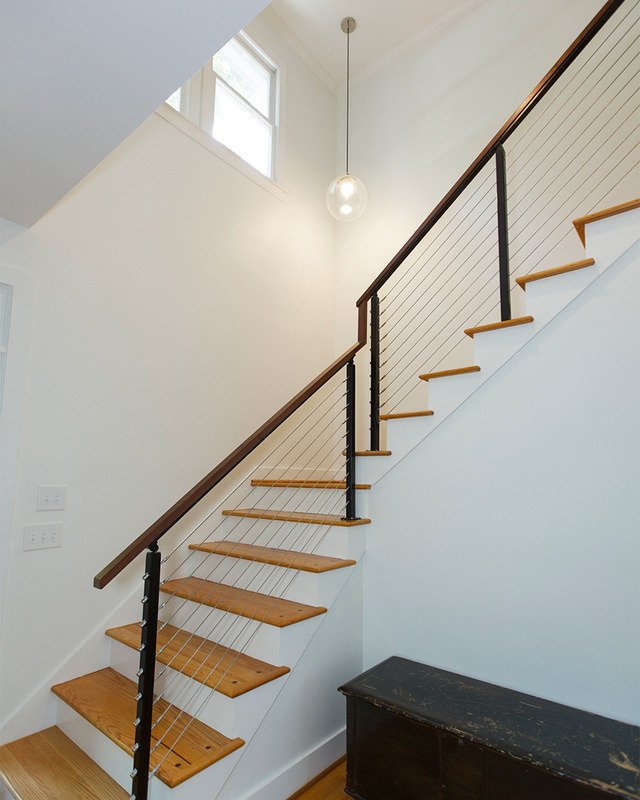 MODERNIZED STAIRWAY — TRIPLE AUGHT DESIGN + BUILD. Formerly typical white pickets with oak handrail stairway, we re-designed and built this handrail system to relate to the kitchen. Walnut dowels plug the holes left from the removal of the posts. We used a stainless steel rail system with minimal steel posts. The new walnut handrail ties in nicely with the kitchen’s materiality and feels smooth and supportive.